There is only one real Flokati, and still today, Flokati is one of the few products made the same way and in the same place as they were for centuries. Hand Woven in Greece of 100% New Zealand Wool the Original Flokati area rugs are a masterpiece for any home. Combining unique colorations with a truly unique construction, these pieces are a must have in any home looking for style, design and a classic piece of floor art. 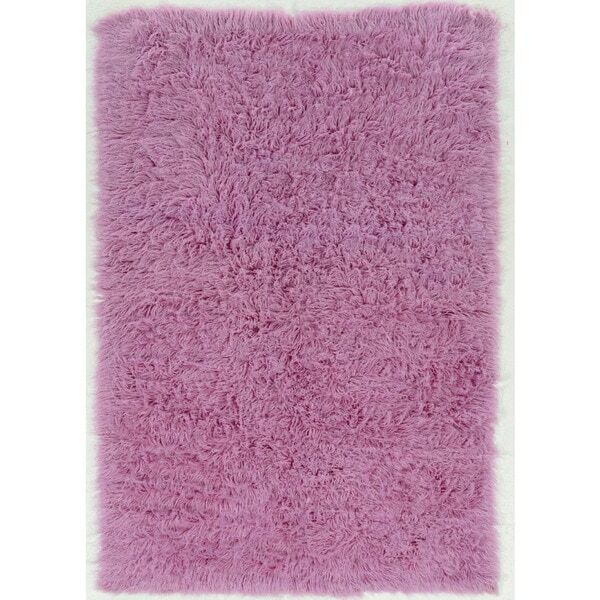 This rug will add style to your space with its eyecatching Lilac color. This rug is a 2' X 3' . Really like to give it no stars. It definitely does not look like the picture. This rug comes to you all matted. Of course that’s not mentioned in the description. I’ve tried to follow the instructions of how to get the matting out but that doesn’t seem to work. Returning it will cost me almost as much is the item because they charge $ for the return shipping.